44 - $106.99 Only 2 left! Hey man, gonna be a rager. Becca’s gonna be there! Dress appropriately! Yeah, that was the text you got from your best bud two days ago. Now you need the perfect thing to wear to impress Becca. She’s not just any girl, but THE girl. The one you can see yourself with. Like in the long term. The party is two weeks away, and you still don’t have the right thing to wear. She isn’t the kind of girl that is impressed with your band t-shirts, and she has seen your cardigans, and your vests. You need something new. Something that will wow her. Something that says you are a fun guy, but still also that you can dress up. It might feel impossible, but there is something out there that says everything you want Becca to hear. We might just have the thing that says “fun” but also “classy”. 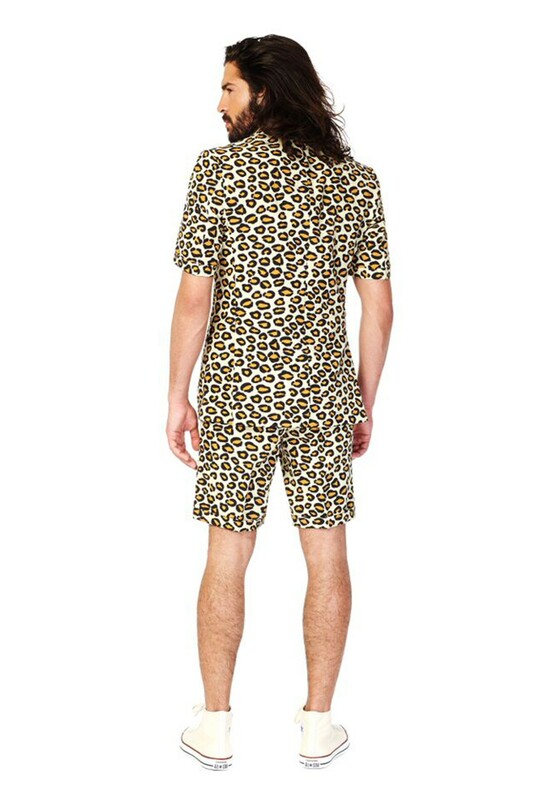 The Jag Summer Opposuit is just the thing to get her to notice you. Your buddies will be floored when they see you walk up to the party wearing this jaguar suit. Even more so when Becca comes up to you first, running her hand down the lapel of your spotted suit, and asking how you are. 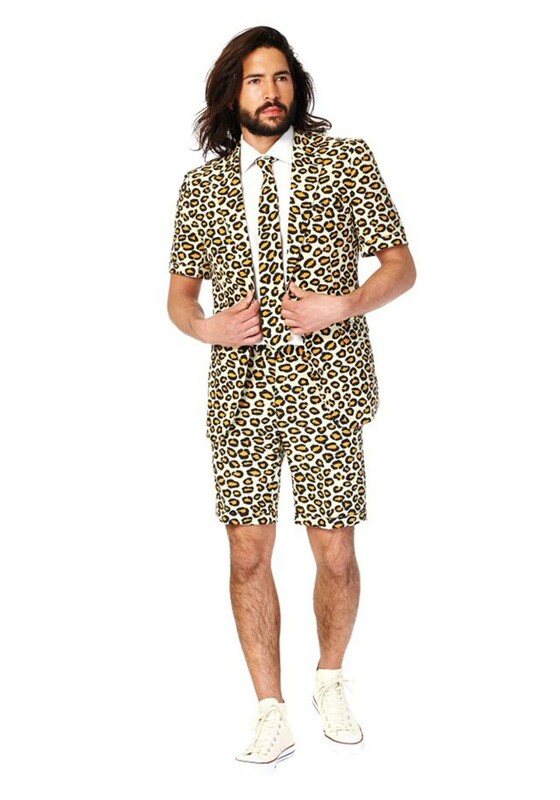 And you won’t even get over heated as you sip a beer next to Becca, laughing with your friends, all because your suit has short pants, and sleeves. Party on friend!